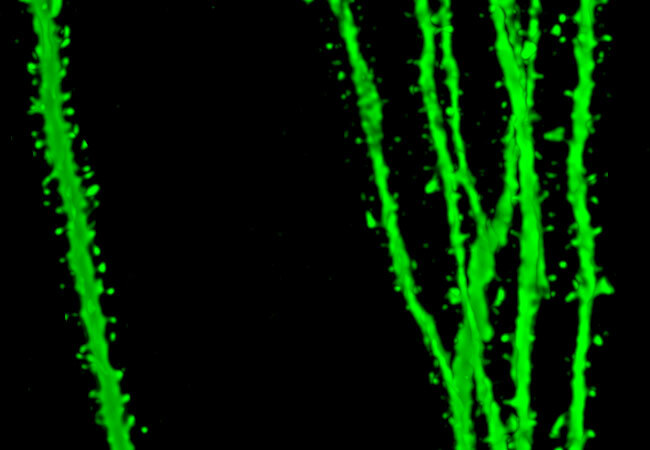 The dendrites of newborn neurons (green) are covered with spines, similar to the thorns on a rose stem (Credit: Tassilo Jungenitz). Even in adult brains, new neurons are generated throughout a lifetime. In a publication in the scientific journal PNAS, a research group led by Goethe University describes plastic changes of adult-born neurons in the hippocampus, a critical region for learning: frequent nerve signals enlarge the spines on neuronal dendrites, which in turn enables contact with the existing neural network.